Validation is a Good Manufacturing Practice (GMP) requirement with benefits for both Tecan and its customers. The Protein Expression Purification Crystallization Core at Case Western Reserve University is designed to perform high throughput crystallization trials, taking advantage of the automation capabilities of Tecan’s CrysScreen™ software and Freedom EVO® liquid handling platform to optimize crystallization parameters. ViroMed, a provider of laboratory testing services based in Minneapolis, USA, chose six Freedom EVOlyzers to support high throughput ELISA testing for a substantial HIV screening project. 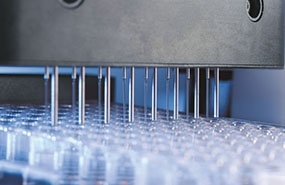 A successful partnership between Tecan and the Hochschule für Technik in Rapperswil, Switzerland, has resulted in the development of a new technology called Array Liquid Arrival Check (ArrayLAC) that shows great potential for built-in process control in Tecan pipetting platforms. 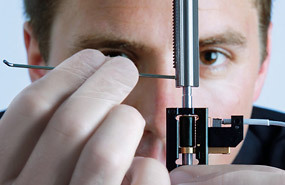 ArrayLAC will be ideal for real time and parallel volume measurement in microplates before and after pipetting steps. 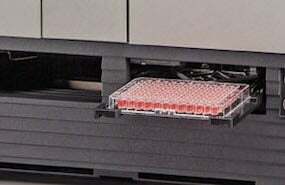 Researchers at the University of Modena and Reggio Emilia, Italy, have introduced automated washing for Enzyme-Linked ImmunoSpot (ELISpot) assays, using the HydroFlex™ microplate washer. President of Tecan Europe, Martin von Lueder, talks about his years with Tecan. Scientists at the Center for Integrated Protein Science Munich have taken advantage of the 3D scanning capabilities of Tecan’s Infinite® M1000 microplate reader. Tecan is collaborating with Luminex® Corporation to develop an innovative, automated newborn screening solution designed to rapidly identify potential health issues in infants. Luminex’s Luminex 200™ instrument with xMAP® technology is being integrated with Tecan’s Freedom EVO® liquid handling platform and HydroFlex™ washer to create the 996x™. Salzburg in Austria was the beautiful autumn setting for Tecan’s third symposium, where key thought leaders from Europe, the US, Asia and Australia came together to discuss this year’s topic – Applying Genomic Technologies – in an informal and stimulating atmosphere. Tecan and Miltenyi Biotec are working together to develop a range of automated solutions for cell biology, based on the powerful MACS® magnetic bead technology. Tecan is pleased to announce the winner of the first ever Tecan Detection Award. The award is designed to celebrate the innovation and ingenuity of our loyal customers, and we have been overwhelmed by your response to this inaugural competition. We received a lot of strong entries (look out for some of these in future issues of the Tecan Journal), and we would like to thank all those who submitted abstracts of their work. Choosing just a single winner was very difficult, but we would like to congratulate Dr Francisco Quintana from the Center for Neurologic Diseases at the Brigham and Women’s Hospital, Harvard Medical School, Massachusetts, for his pioneering work on the progression of Multiple Sclerosis (MS) using human and zebrafish antigen microarrays. Tecan recently attended the 5th National Congress of the Chinese Society of Blood Transfusion (CSBT) and China Forum on Transfusion Medicine 2010 at the Pride International Conference Centre of Chengdu in Sichuan Province, China. This international event attracted more than 1,000 experts from around the world to discuss the current challenges, trends and innovations in blood transfusion medicine. Tecan is collaborating with Covaris, Inc. to integrate Adaptive Focused Acoustics (AFA) non-contact acoustic sample preparation technology into Freedom EVO workstations. 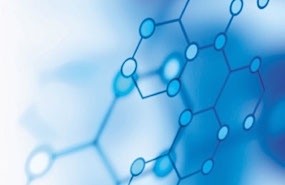 High quality, reproducible sample preparation is the critical fi rst step in improving analytical results, and Covaris’ highly controlled AFA system sets the standard for today’s rapidly advancing analytical technologies and sophisticated assays. This joint off ering will be available to customers worldwide, providing a scalable, turnkey solution for automated sample preparation, compound management and next generation sequencing applications. The HydroSpeed plate washer is an advanced system for optimized washing of cells, beads and ELISAs in 96- and 384-well formats. It off ers full control over critical wash parameters, via an intuitive touchscreen interface, with extra gentle drop-wise dispensing and tunable aspiration settings to help avoid loss of material and maximize assay effi ciency. Tecan has launched the new Cavro Air Displacement Pipettor (ADP), a compact, pneumatic pipetting solution for easy integration and exceptional liquid handling performance. The Cavro ADP is a fully programmable, pneumatic pipetting module designed for integration into instruments requiring minimal maintenance or where space is at a premium. Using pneumatic technology in a Tecan Cavro product for the fi rst time, this innovative module gives you an automated pipetting solution that is smaller than ever before, using air displacement to aspirate and dispense fluids. Correct operation is monitored by onboard pressure-based liquid level detection and self-diagnostics.